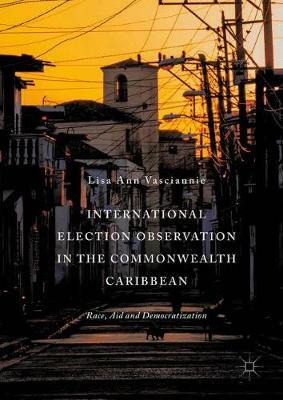 This book examines the practice of international election observation in a Caribbean context. It presents a survey of the Commonwealth Caribbean perspective and a concise case study of Guyana between 1964 and 2015. This research traces the roots of election observation and how this practice became integrated into the landscape of Caribbean electoral politics. More specifically, the study examines the process by which election observers have become key actors in elections in the Commonwealth Caribbean. One of the issues the book contemplates is why Caribbean countries accept the imposition of observation within the context of sovereignty. The case of Guyana and other Anglophone Caribbean states shows the costs of not having observers have been multidimensional and have eclipsed concerns of respecting state sovereignty.